Fall is here, and with that cooler running and improved race times, yay! With the cooler temps who doesn’t love a nice warm frothy drink to heat us up after braving the cold outside? This drink will not only warm you up after a cool run outside, it will also “cool” down your inflammation. The key ingredient? Turmeric, which is a spice that contains curcumin. Lately turmeric has been getting a lot of press for its well studied anti-inflammatory and pain relieving benefits due to the curcumin found in it. It can also improve digestion and liver function. However, turmeric isn’t as bio-available in the body if it doesn’t get consumed with certain substances since turmeric is fat-soluble and needs the piperine compound in black-pepper to bind to in order to become bio-available. If it doesn’t have those components it will pass through your body too quickly and not have much beneficial effect. 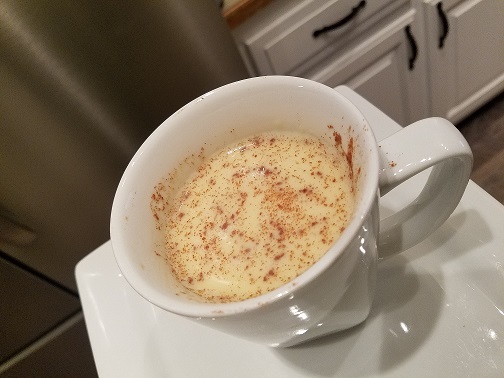 If you want to read more about all the wonderful benefits of turmeric click here, or if you just want to enjoy a wonderful, warm, and health promoting tonic, that is especially nice in the morning or even right before bed, follow the recipe below. Oh, and as an added bonus it’s also a fun fall color! This entry was posted in Blog, Recipes and tagged antioxidants, curcumin, golden coconut milk, inflammation, turmeric. Bookmark the permalink.